Top 10 Health Benefits Of Spirulina | What Is Spirulina? 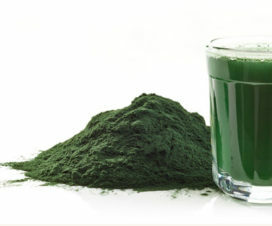 I’m sure you been hearing a lot about spirulina lately, but aren’t sure how this ‘superfood’ could affect you. Here are some of the top 10 health benefits for every human. 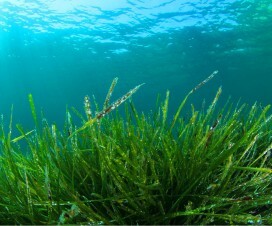 Spurlina is a blue-green algae that grows naturally in warm, fresh water-bodies around the world. It has become a popular superfood due to it’s powerful health benefits. Even though it is not considered very tasty on it’s own, spirulina is often sold in powder or pill form as a nutritional supplement and many people add it to smoothies and green drinks. While you may have only started hearing about Spirulina recently, it has been around for centuries and is well-known as a superfood of the ancient civilizations. If the Aztecs consumed spirulina for these health benefits, then it’s not something we should ignore! Spirulina provides 3,750 to 6,000 mcg zeaxanthin per serving size, which is a special pigment to help protect your eyes from damage. This nutrient helps to cut down on cataracts and the macular degeneration that comes with age. We can tell you from experience that Spirulina gives you clearer, brighter eyes, almost instantly, if you take a full-serving size. Spirulina contains 60% protein! And it is a complete protein meaning it contains all the essential amino acids. It’s an excellent protein source for vegetarians and vegans if consumed regularly. One study has proven that regular consumption of spirulina (at least 2000mcg per day) prevents allergy symptoms such as sneezing, nasal discharge, itching, congestion. How about that! Spirulina has an antimicrobial property that limits the growth of yeasts and bacteria. It is able to oxygenate the blood and the chlorophyll that it contains is good at cleansing your blood. It has been shown to keep yeast under control and inactivate the virus that results in AIDS. Taken as part of a well-rounded diet, spirulina can aid in weight loss by keeping you full through its added fiber and protein. It has become a popular addition to smoothies and health food bars. Spirulina is a major source of Gamma-Linolenic Acid or GLA which is a strong natural anti-inflammatory agent. A study of the effects of spirulina on arthritis proved reduction in inflammation after just 8 days. 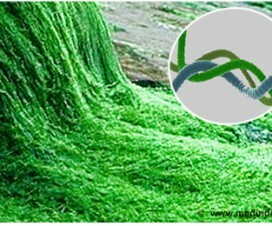 Spirulina is made of up C-phycocyanin, which is substance that gives this algae the blue-green color. It is a strong antioxidant that helps fight the damages that are caused to your body by the free radicals. Spirulina has four times the amount of Vitamin E, Carotenoids, Selenium, and Phelonic Acids as blueberries. This results in better, healthier looking skin and improved protection from cancer and heart disease. Spirulina increases production of antibodies, infection-fighting proteins, and other cells that improve immunity and help ward off infection and chronic illnesses such as cancer. Spirulina is extremely high in Chlorophyll, which helps remove toxins from the blood and boost the immune system. It has been found to lower the toxicity in your body caused by infiltration of certain heavy metals in the world around us. Evidence suggests that spirulina binds with radioactive isotopes and may be useful for radioactivity exposure or radiation therapy. It protects from the damage of ionizing radiation. 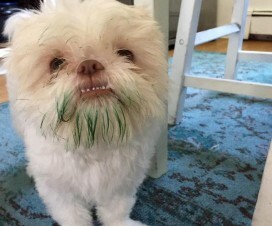 Should you give your dog spirulina? Yes!